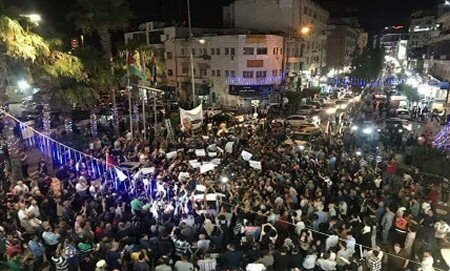 Hundreds of Palestinians held a protest in Ramallah, last night, demanding that the Palestinian Authority (PA) cancel its sanctions against Gaza, describing these measures as punitive measures against the Palestinian people in Gaza. The participants in the demonstration called on PA President Mahmoud Abbas and the Palestinian leadership to lift the sanctions imposed on the region, and called for the Implementation of the Palestinian National Council decisions on Gaza. 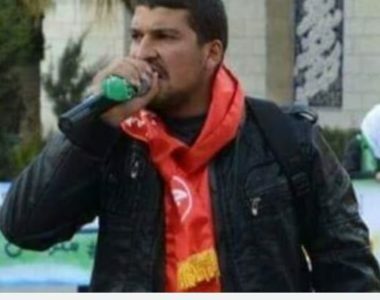 According to Al Ray Palestinian Media Agency, the demonstration was organized by a group called “Movement for Lifting Sanctions Imposed on Gaza”, a large movement of academics, journalists, writers, artists, prisoners, activists and citizens who decided to break the silence toward measures imposed by the Palestinian Authority on the Gaza Strip since March of 2017, in addition to ending the Palestinian division and achieving reconciliation. The PA has called on Hamas, on 21/3/2018, to transfer control of the Gaza Strip to Ramallah government, saying it was prepared to assume its full responsibilities there, as tensions between the two factions continue to rise. The PA also called on Hamas to hand over the Gaza Strip all at once, and affirmed its readiness to take full responsibility for it. Abbas, in April 2017, decided to wage a series of punitive measures against the Gaza Strip, to pressure Hamas in dissolving its Administrative Committee. Although Hamas dissolved the committee in September of 2017, further sanctions were imposed. Most of the PA employees in Gaza receive only 30% of their monthly salaries.